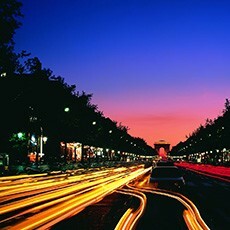 Citywide Canopy Network to Connect Cabinet-Based Controllers for Street and Traffic Lights Across Paris, the “City of Lights”. Today, Silver Spring Networks, Inc. announced an expansion of its relationship with EVESA, the operator responsible for managing the street light and traffic control systems in the City of Paris, to deploy a citywide canopy network connecting the above-ground and subterranean cabinet-based controllers for street and traffic lights across the city, including such iconic neighborhoods as the Louvre, Hotel-de-Ville, Palais-Bourbon, Elysee, the Bourse, and remaining arrondissements. “With more than 2 million citizens and 16 million annual visitors, modernizing the public lighting infrastructure for ‘The City of Lights’ while preserving its world-renowned aesthetic is a crucial undertaking. We are excited to now complete the first phase of our project and extend our relationship with EVESA to deploy a smart city canopy network across Paris,” said Scott Lang, Chairman, President and CEO, Silver Spring Networks. Silver Spring’s smart city platform helps municipalities deploy intelligent lighting systems that dramatically improve system reliability, increase energy efficiency, lower operational costs, extend equipment lifespans, and enhance citizen safety and quality of life. The open, standards-based solution also enables cities to establish a platform for future smart city applications and services such as traffic management, environmental sensors, smart parking, electric vehicle charging, electricity metering, water conservation, and many others. In addition to the City of Paris, Silver Spring has recently been selected by Florida Power & Light for what is believed to be the world’s largest connected lighting project, nearly 500,000 networked street lights across South Florida. 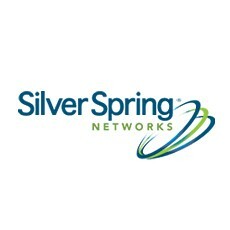 Silver Spring is also connecting critical infrastructure in iconic cities such as Bristol, Chicago, Copenhagen, Glasgow, Melbourne, Miami, Sao Paulo, San Francisco, Singapore and Washington, D.C., and has delivered over 20 million IPv6-networked devices for critical infrastructure networks on five continents. For more information on the Silver Spring smart city solution, please visit : www.silverspringnet.com/smartcities.